In honor of FSBO Week, we'd like to call your attention to a $549,000 midtown studio with plenty of useful features, like a dining alcove (complete with benches that open for storage space inside), and a custom walk-in closet/dressing room that, yes, is being sold directly by the owner. The living space and sleeping space are separated by a wall and a curtain. And while nothing looks particularly large in this studio, buyers might appreciate how the space is divided for different needs. There's also a separate kitchen with a window, which means you won't have to smell leftover odors from cooking dinner while you try and fall asleep. See those benches in the dining alcove? They open to offer storage space —helpful in a small apartment. The closet situation in this apartment is decent. There are two in the foyer (with built-ins), shown above, and a large walk-in/dressing room off the bathroom, below. 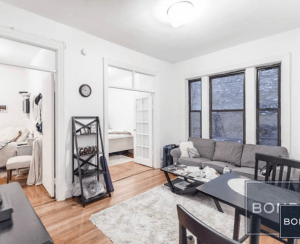 The apartment's located in the John Murray House, a pet-friendly co-op building with a full-time doorman, a furnished roof deck, bike room, basement storage (for a fee, subject to availability), a renovated laundry room and parking garage. The hallways and elevators were remodeled and upgraded in 2014. 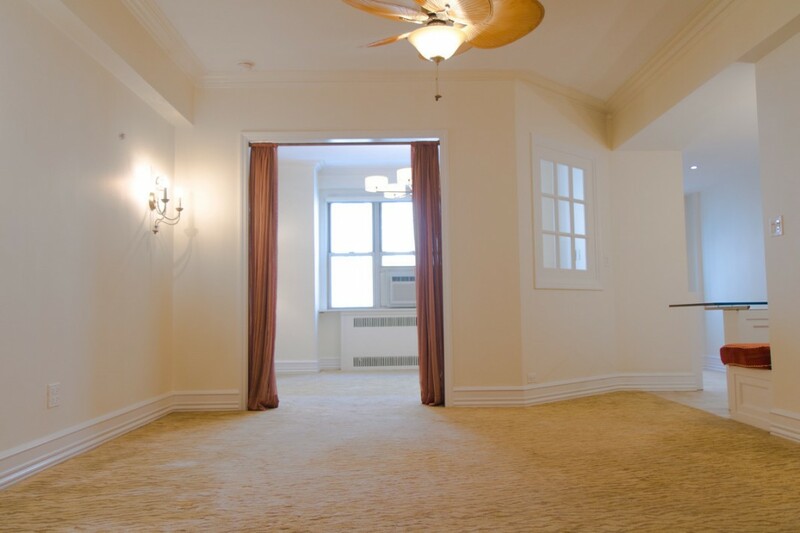 Pied-a-terres are allowed, and we think kind of perfect for this space which— at 37th and Madison — is walking distance from the Theater District, Penn Station, Grand Central, and Bryant Park.